for kids 5 to 90. 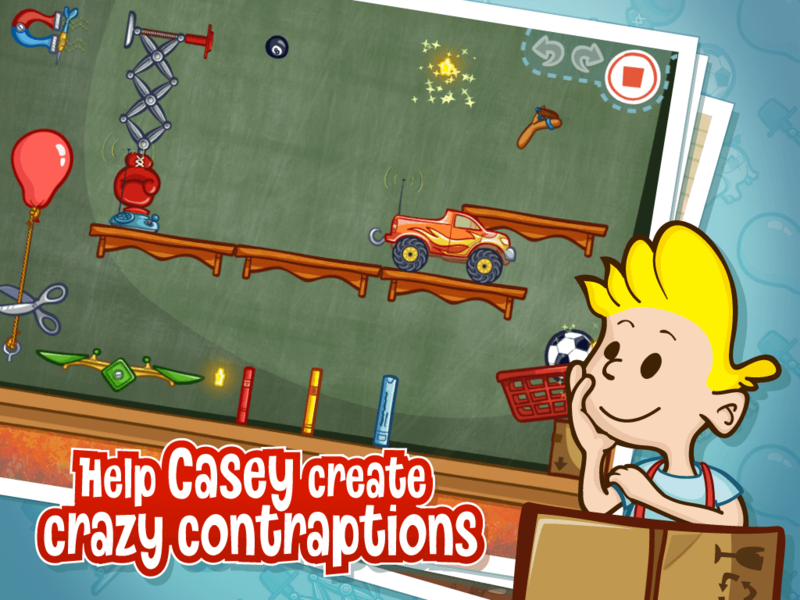 Help Casey get his toys back by building crazy contraptions. Create Rube Goldberg-like machines with toys and everyday items to solve puzzles and playtime scenarios. See the solutions your friends came up with, and share your own instantly with Game Center. The fun doesn’t stop there! 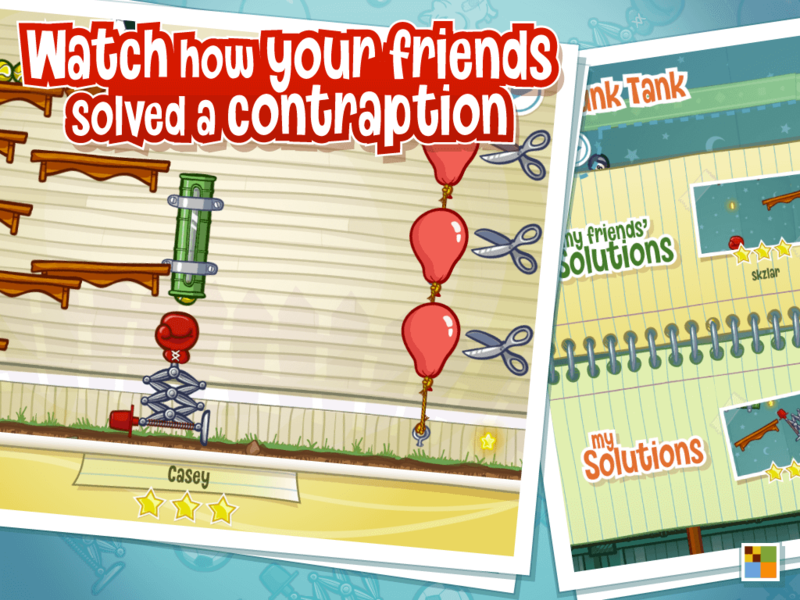 Create your own contraptions with the toys you get back, and challenge your friends through email to solve them. 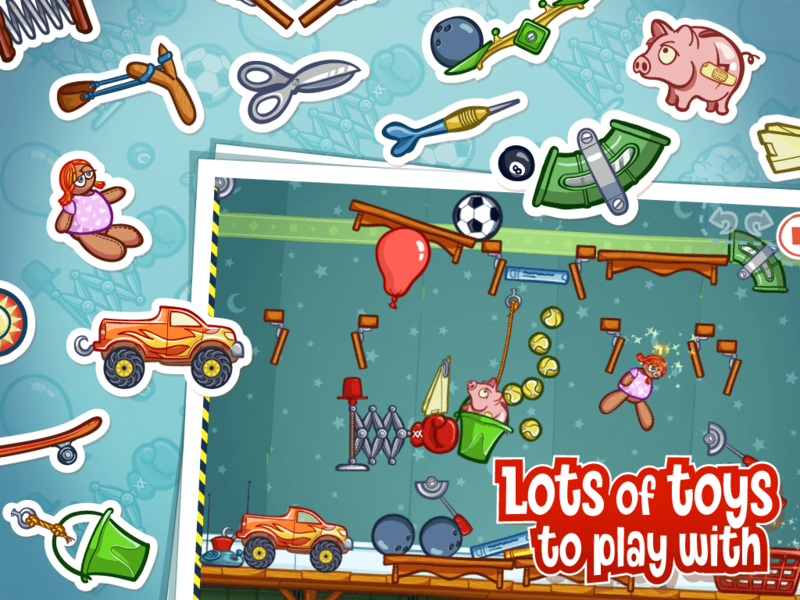 You can use slingshots, RC trucks, darts, ropes, magnets, balloons, trapdoors, punching gloves, and more. Let’s see who can come up with the craziest inventions! 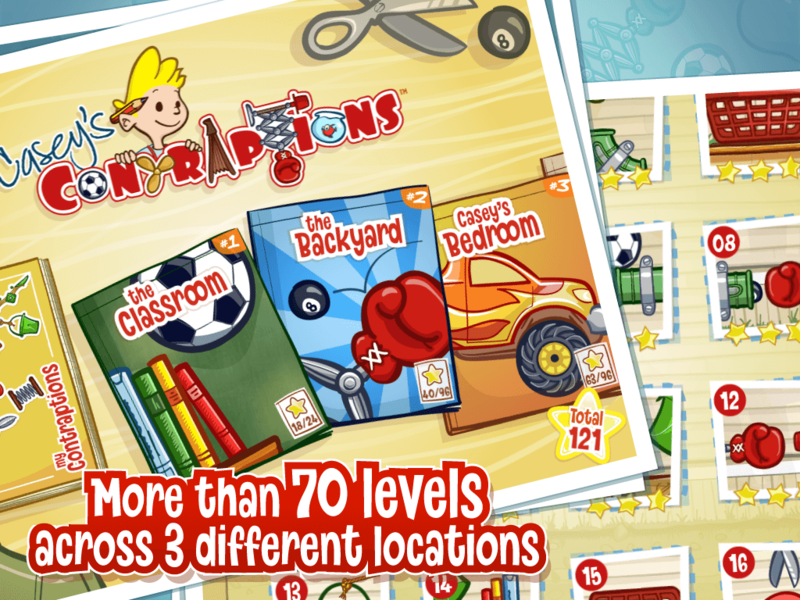 More than 30 different items to create contraptions. Game Center integration allows you to share and replay your solutions, and watch how your friends solved each level. Level editor to make your own contraptions. More than 30 items to unlock and use. 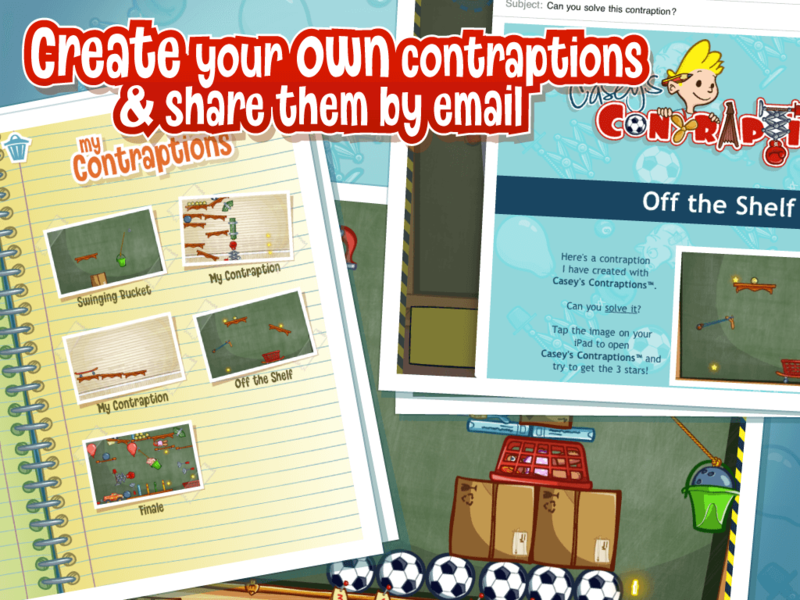 Share your contraptions and access tons of new levels created by other players through http://shared.caseyscontraptions.com. $2.99 (USD) | 2.37€ (EUR).